Looking for a Man with a Van in Dublin?. We offer a profession Removal Service in Dublin and surrounding areas. Its time your big move and your looking for a competitive and reliable moving service. 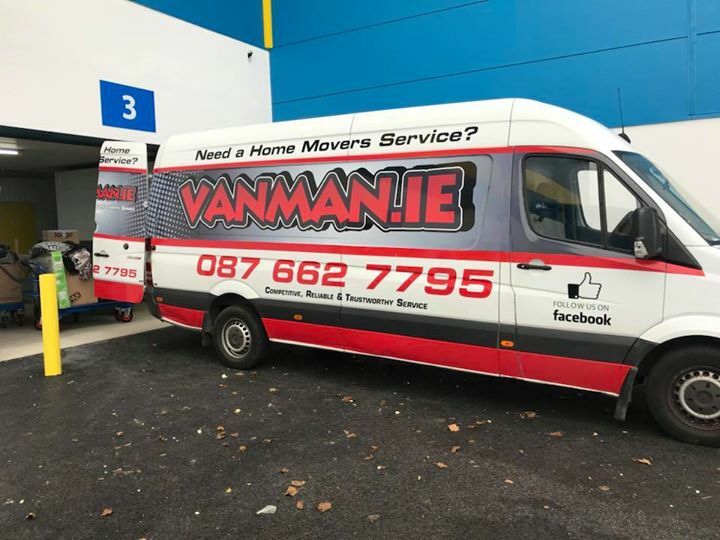 Here at www.vanman.ie we pride ourselves in the professional and competitive service we provide. Q1. Do you help with the loading and unloading of the van. Q2. Do we help with the disassembly of your beds and any large items . Q4. Do you put our furniture and boxes into the specific rooms we need. A4. Yes – It is important to us that you have to do as little as possible to make your move a easy as possible. Tagged with Disposal Service, House Moving, Man with a Van, Movers, Moving Companies, Moving Company, Packing Materials, Van Man, Van Man Dublin, Waste disposal.